(Bloomberg) -- Carlos Ghosn’s prospects for a legal comeback dimmed after Japanese prosecutors arrested him on fresh allegations that the former chairman of Nissan Motor Co. used millions of dollars from the company for his own purposes. Authorities showed up at Ghosn’s Tokyo apartment shortly before 6 a.m. Thursday to detain him, cutting short the freedom he enjoyed since his March 6 release on bail. Prosecutors said he used company money funneled through an intermediary for personal purposes, the most serious charges yet against the global auto titan, who once led Nissan, Renault SA and Mitsubishi Motors Corp. at the same time. A day earlier, in a sign that it’s becoming more eager to distance itself from Ghosn, Renault said Ghosn had made questionable payments to a distributor in the Middle East and an outside lawyer. That probably triggered Ghosn’s latest arrest, said his lawyer, Junichiro Hironaka. When Ghosn was arrested the first time, the three-way alliance between the automakers was shaken to its core. Since then, the companies adopted a new governance structure designed for smoother and more equitable decision-making. 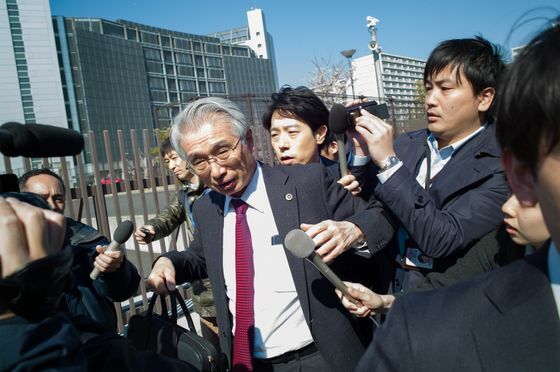 Ghosn was arrested again because he’s a flight risk and could destroy evidence, Shin Kukimoto, deputy chief prosecutor at the Tokyo District Public Prosecutors Office, said at a briefing. Ghosn previously was released on bail of 1 billion yen ($9 million) on condition that he remain in Japan and be monitored. Prosecutors took Ghosn’s phone, notebooks and other items in his possession as evidence, as well as his wife’s phone and passport, Hironaka said. The rearrest was “extremely inappropriate” and designed to put pressure on his client, the attorney said, adding that prosecutors probably will seek to detain him longer. The arrest happened a day after Ghosn said on Twitter he would hold a tell-all press conference next week. Renault and Nissan uncovered payments made under Ghosn that allegedly went toward corporate jets, a yacht and his son’s startup, leading the French carmaker to alert authorities about potential wrongdoing, people familiar with the matter have said. Prison could make it harder for Ghosn to prepare for his trial on charges of financial misconduct, as well as revive international attention on Japan’s criminal justice system. Ghosn, who was arrested Nov. 19 and jailed for more than 100 days, has vigorously denied accusations of transferring personal trading losses to Nissan and under-reporting his income. He tweeted Wednesday that he planned to hold a news conference on April 11 to “tell the truth” about accusations against him. In case of his arrest, Ghosn prepared a video statement that will be released at some point, Hironaka said. Renault’s probe revealed payments made under Ghosn totaling millions of euros to companies in Oman and Lebanon that may have then been used for the personal benefit of Ghosn and his family, said the people, who asked not to be identified because the details aren’t public. Japanese prosecutors accused Ghosn of taking $15 million in three incidents beginning in 2015. Other expenses of several million euros by RNBV, the Amsterdam-based company overseeing a partnership with Nissan, also raised concerns, Renault said. The latest findings may lead to legal action in France after earlier transactions were brought to authorities, the company added. Hironaka said he hasn’t discussed the reported Oman payments with his client, adding that he believed they were related to Thursday’s arrest. “They haven’t made do with wielding influence in Japan, they are acting outside of Japan and notably in France,” Ghosn said. Nissan declined to comment on the arrest, issuing its typical response regarding Ghosn. “International attention will again refocus on Japan’s legal system, and it could create another series of issues, especially if Ghosn is detained for a long time once again,” said Koji Endo, a senior analyst at SBI Securities Co. When he was first jailed, Ghosn lost 15 pounds (7 kilograms) and underwent hours of questioning daily. 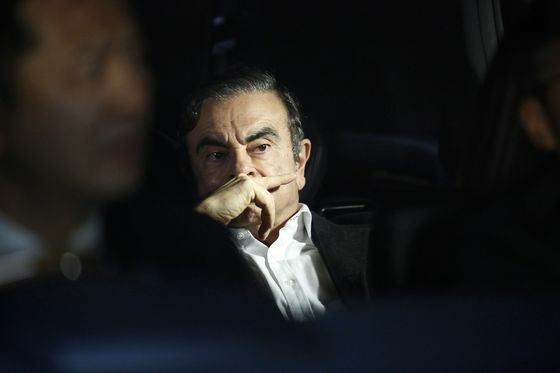 Two of Ghosn’s daughters told the New York Times in December that his cell wasn’t heated, that he had asked repeatedly for blankets and that he had been denied pen and paper. 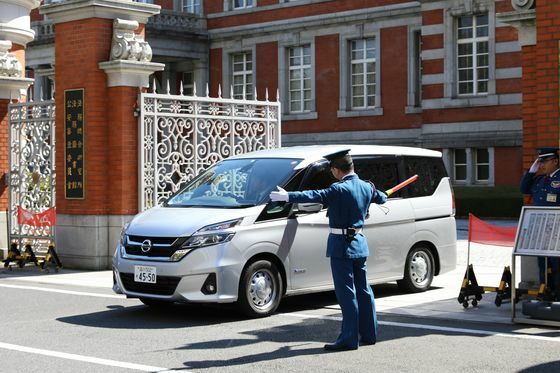 Ghosn’s brief freedom coincided with Japan’s cherry blossom season, when the country’s residents flock to the trees to stroll and hold “hanami” drinking parties under their falling petals. The day before he was arrested, Ghosn launched his official Twitter account, featuring a picture of the thinner and grayer suspect standing in front of Tokyo’s cherry blossoms in full bloom.